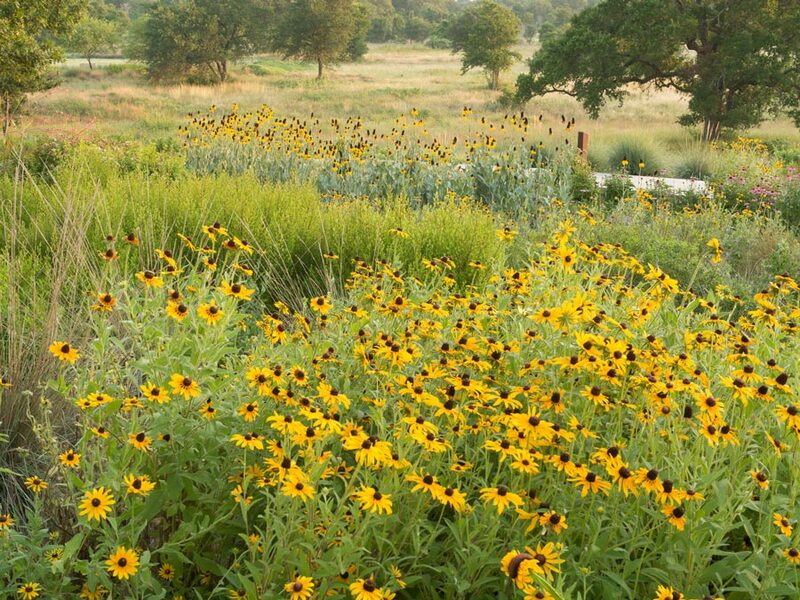 Ecologists at the Lady Bird Johnson Wildflower Center are keeping a close eye on wildflower seedlings expected to start blooming in early March. Adequate rain throughout the fall months is a key factor in healthy germination for many early spring wildflowers. Higher than average rainfall in the fall of 2004 points to a bountiful wildflower display this spring for most of Travis County. By the end of 2004, rainfall in Travis County was approximately 20 inches above normal. Lots of rain, however, is not always good news for all wildflowers, especially Texas bluebonnets (Lupinus texensis). Excessive amounts of rain and persistent damp conditions can make young bluebonnet seedlings sensitive to fungal infections. A fungus that causes root rot (Phytophthora) was found to be the culprit. Root rot fungus can infect healthy seedlings if they get too much water and are not planted in well-drained soil. “We don’t think the problem is widespread, but there could be some areas where bluebonnet displays may suffer,” said Simmons. Additional studies must be done to determine the extent and impact this fungus will have on Central Texas bluebonnet crops. Many of the other wildflower species are not as sensitive to fungal infections. Wildflower enthusiasts can expect to see plenty of Indian blanket and Black-eyed Susan blooms this year. 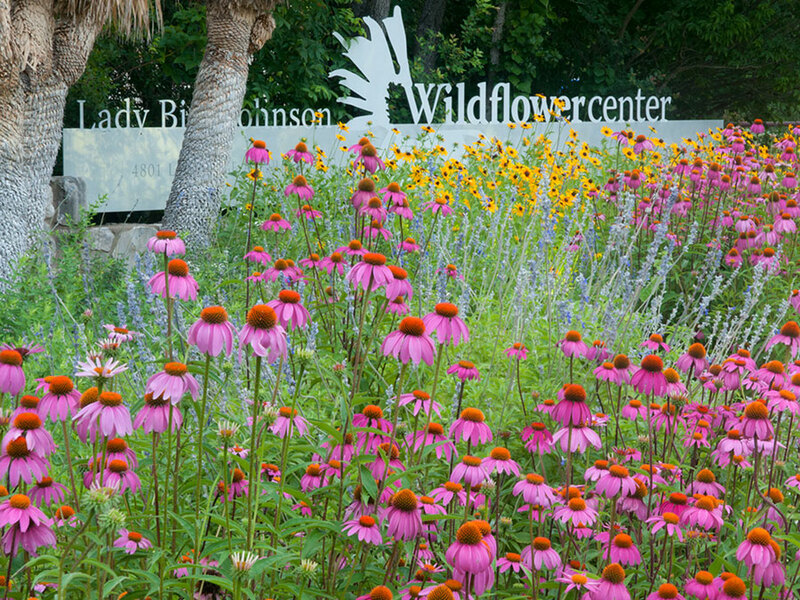 At the Wildflower Center, visitors can enjoy six different photo opportunity spots throughout the grounds. These areas allow visitors to capture a wonderful photo next to a bluebonnet display without trampling the flowers for the next visitor. As the bluebonnets and Indian paintbrush begin to fade, the region will experience other blooms and colors. Many of these flowers overlap from one month to another. Make sure the seeds get adequate water, but avoid consistently damp conditions.